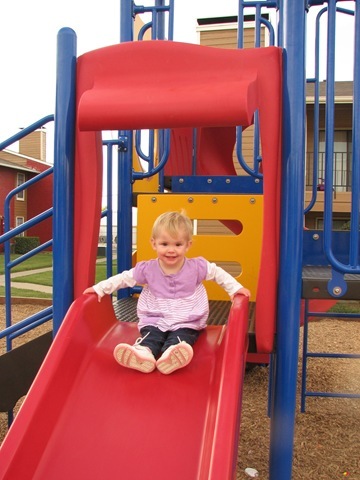 Browse: Home / New park! 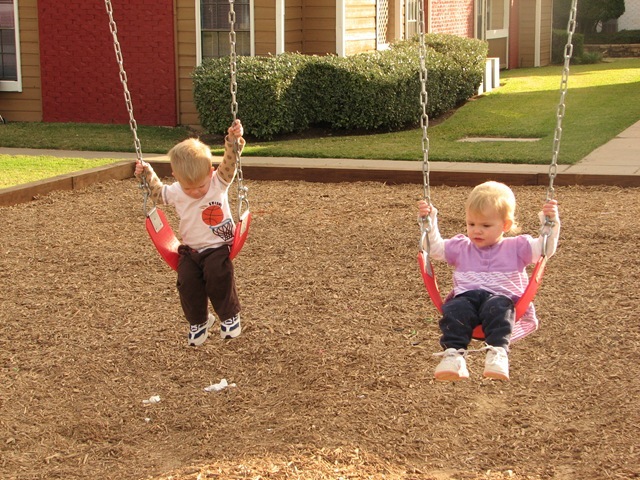 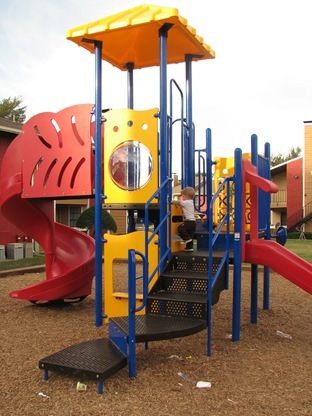 Along with several other recent improvements, our apartment complex added a new playground! This is an exciting addition to our “fun things to do nearby” list. 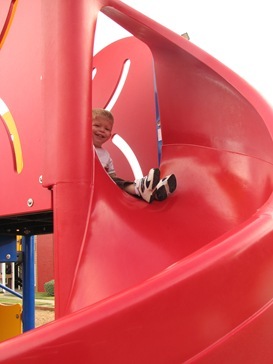 There’s a big and little slide, stuff to climb on and manipulate…. 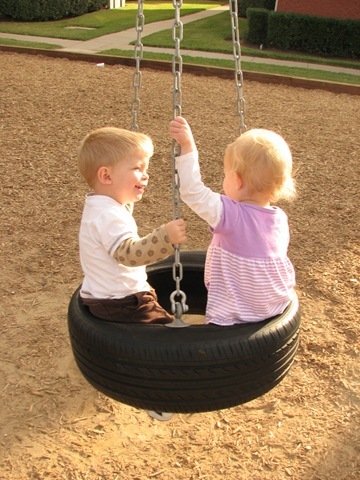 And a really fun tire swing! 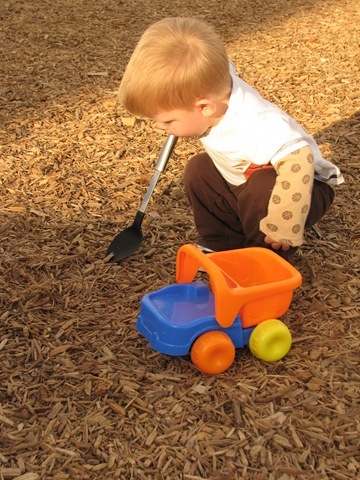 However, the best activity seems to be playing with all the wood chips. I can see many fun days ahead!